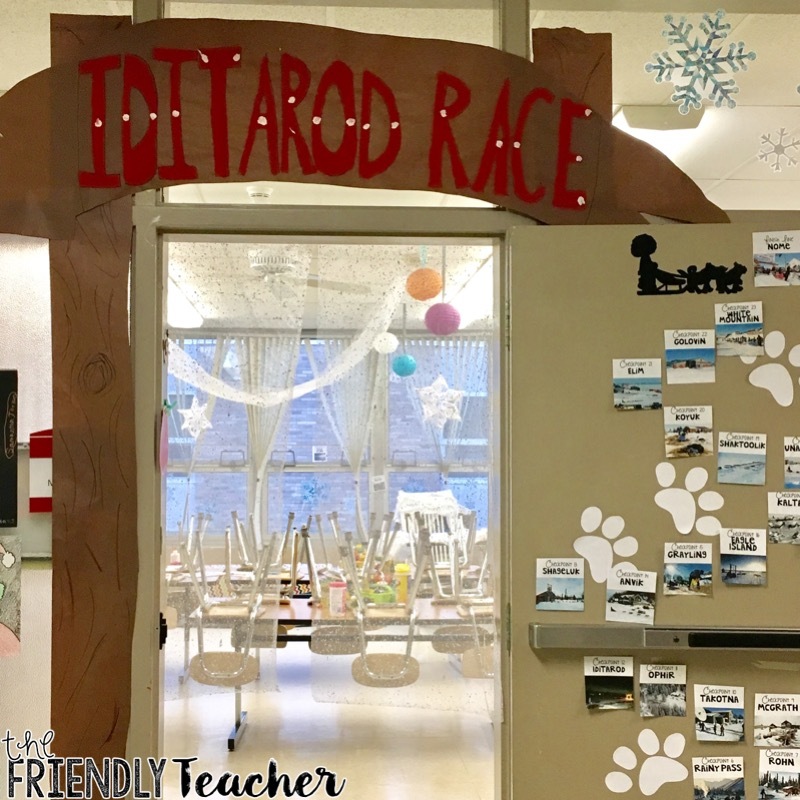 Every year we teach the Iditarod to our students. They LOVE it! 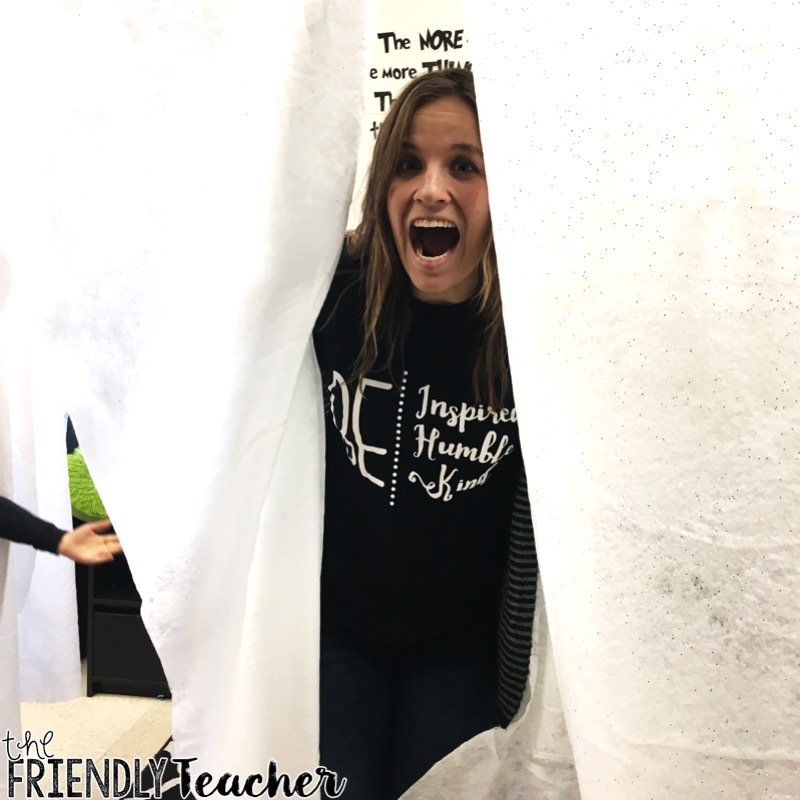 It is so much fun teaching them something they have never heard about, their engagement is so high! 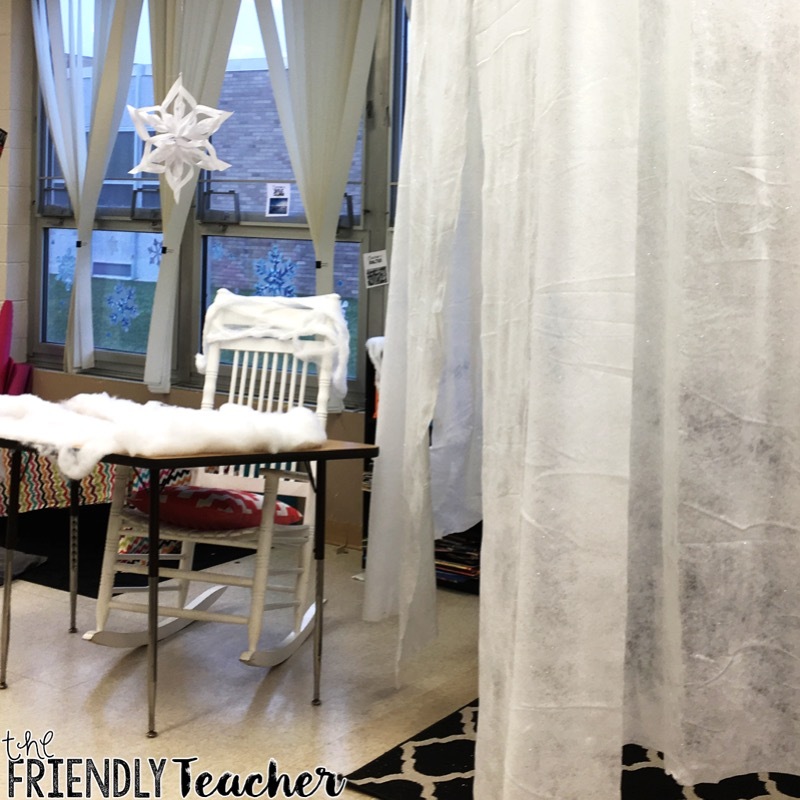 On the first day, I decorate the classroom in lots of snow! I buy cheap snow packs when they go on sale after Christmas. Then, I pretty much just put in everywhere! I also try to make sure that I have some sort of “Igloo“. You can make that Igloo with milk jugs or you can throw some snow around your reading center! I also like to hang lots of snow flakes. 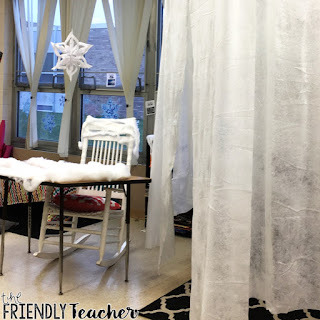 On the windows, from the ceiling, really anywhere a snowflake would fit! I transform our door to the starting point, so they are excited the minute they walk in! Then, on the door I put all the checkpoints. I put them from start to finish. You can grab the checkpoints odd years here and even years here for free. 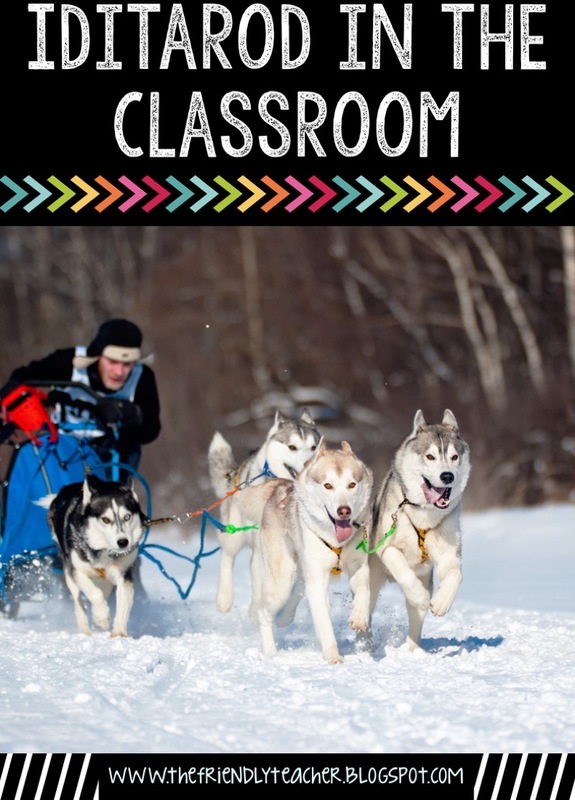 Then, when the race starts the students will research a Musher. They will track that Musher everyday and move their name on the checkpoint door until the Musher wins! 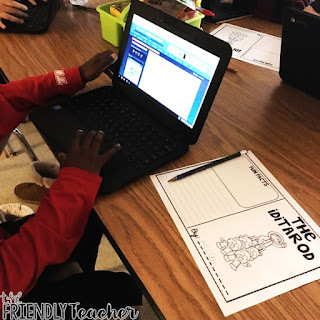 We start with TONS of research! Here is the research that we do in the first week! 1. 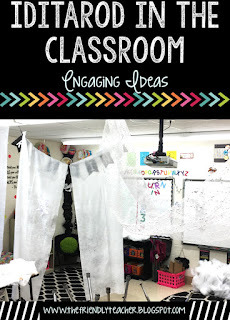 I put the checkpoints around the room. Each student takes a checkpoint. They research that place in Alaska and find at least five facts on the place. Then, we do a “Iditarod” and we walk to each checkpoint. When we reach that checkpoint the students present their information. 2. 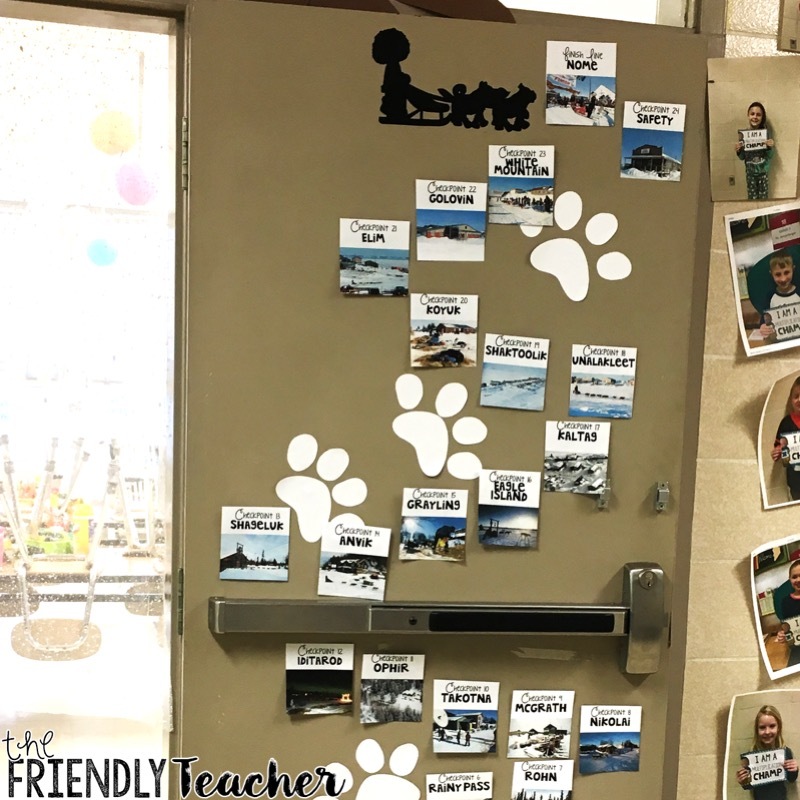 We research the whole Iditarod using this cute booklet made by The Peppy Zesty Teacherista. You can find it here! 3. 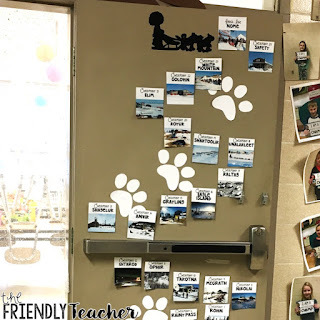 We research a Musher to track throughout the Iditarod. 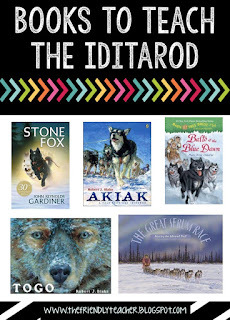 Then, we spend the next month reading some great books that support the Iditarod. 1. 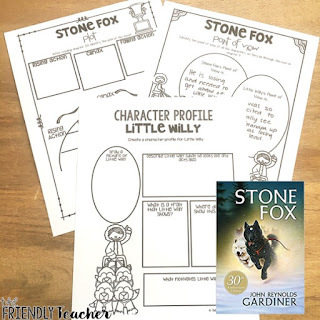 Stone Fox– We read this novel as a class and complete this novel companion. 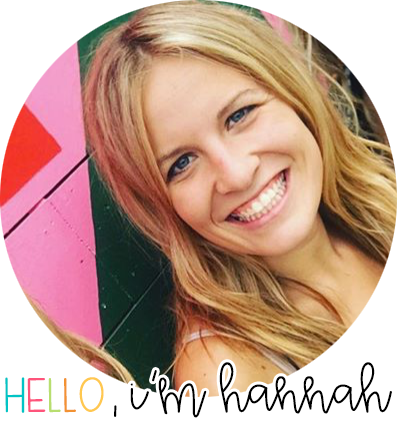 I also have it completely on google drive here! We cover different skills after every chapter. 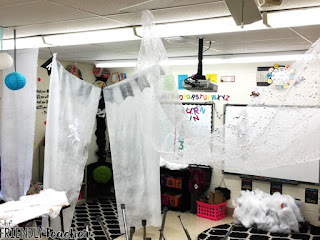 My kids LOVED using the skills we learned in fun and enjoyable ways! We would discuss, discuss, and discuss some more! 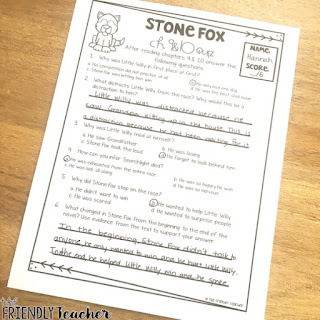 Of course we take some quizzes and tests to check for comprehension! 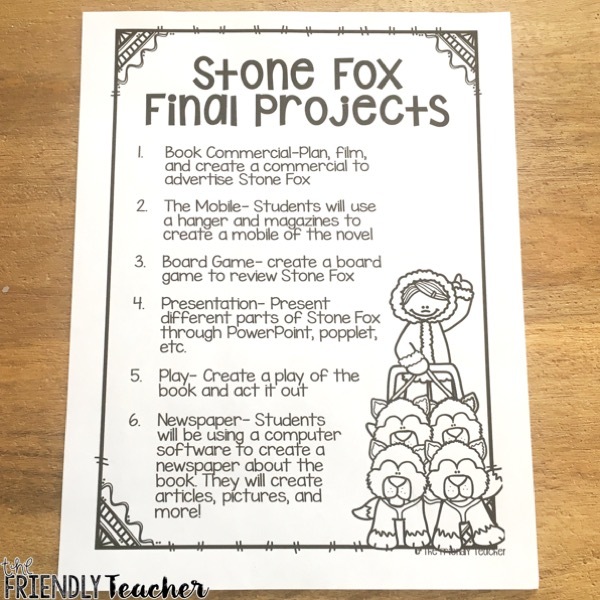 Every three chapters we did a project! 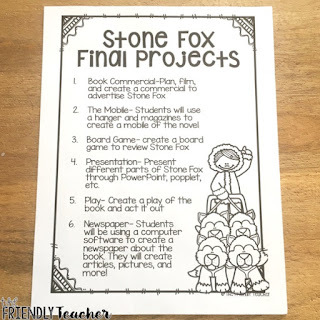 My kids LOVED these projects and it was a good way to break up the book! You can grab the whole unit here: stone fox unit. I also have it completely on google drive here! 2. 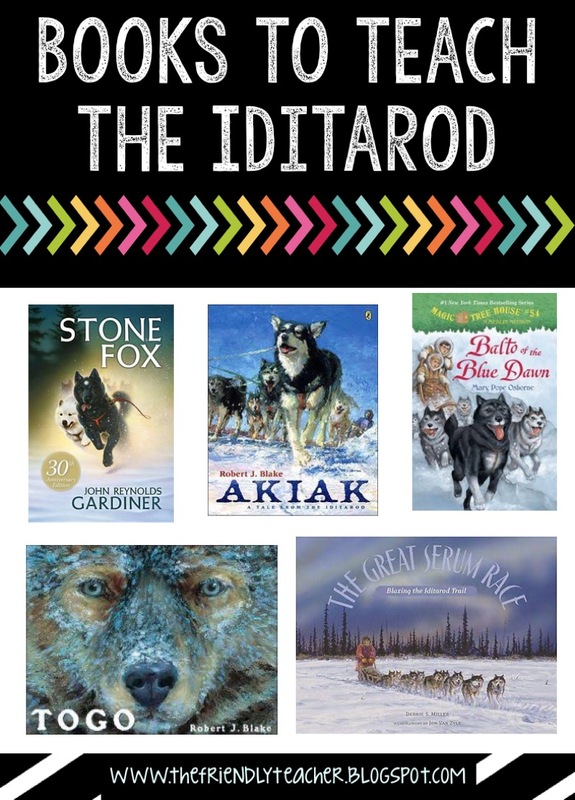 Akiak, The Great Serum Race, and Togo– All of these books are about stories of dogs that participated in similar races to the Iditarod. 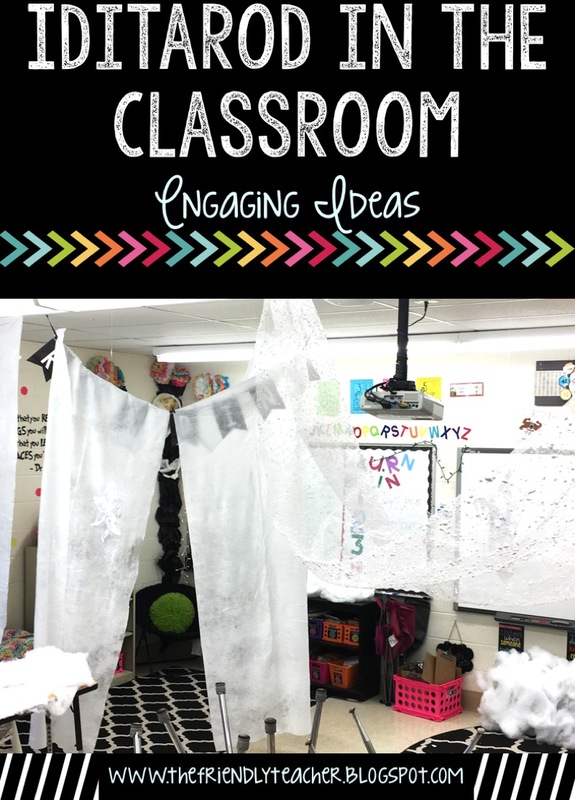 We read each thought the month! After we read all three books the students become “news anchors”. They pick one scene in the three books and make a newscast that describes that scene! 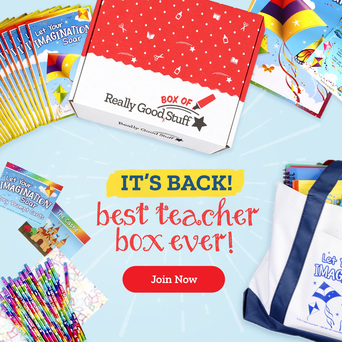 It is so much fun and the kids have a great time with it! 3. Balto of the Blue Dawn- If your kids like Magic Tree House, this is a great book to add the the library! 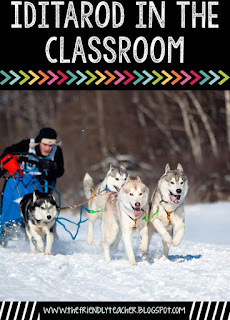 It is all about sled dogs and the kids love it! They even have a nonfiction book to go with it called “Dog Sledding”! 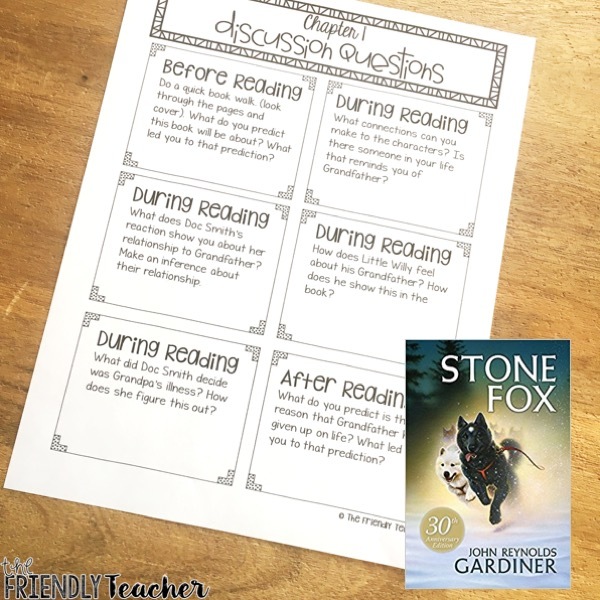 We don’t do anything with these whole class but they become popular books during the Iditarod unit! I always have to have a little fun in the snow too! 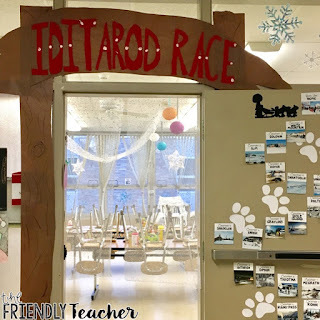 I love the Iditarod race and so do my kids!